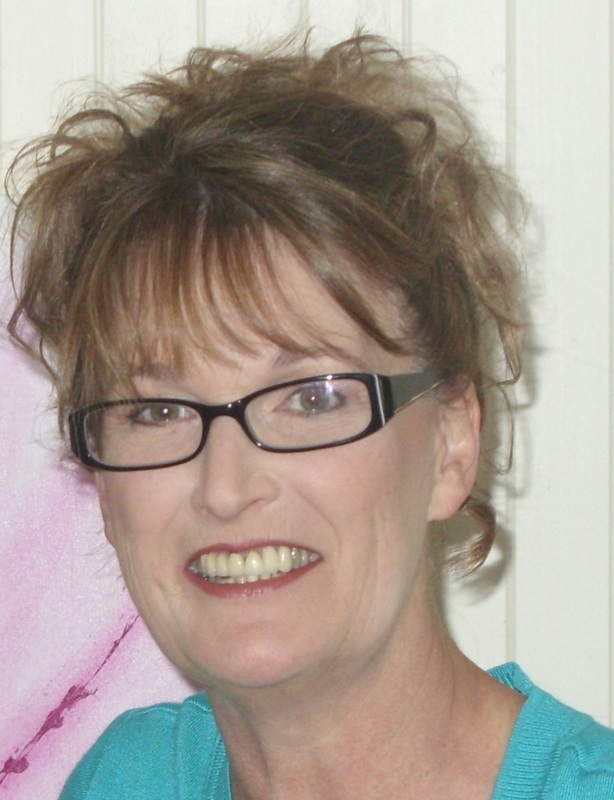 Readers of this blog are no stranger to author Karenlee Thompson. I have lost count of the guest reviews she has contributed to ANZ LitLovers since I reviewed her debut novel 8 States of Catastrophe in 2011 and followed up the review with an interview for Meet an Aussie Author. So I am very pleased to bring you the news that her new book, Flame Tip, is scheduled for publication this March. 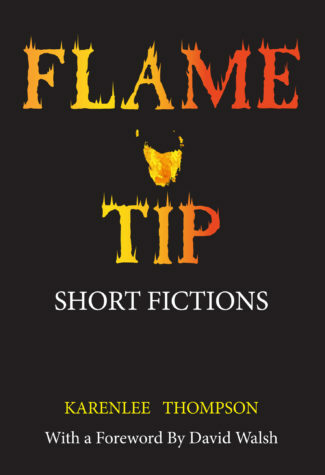 Flame Tip is a short story collection loosely themed around the catastrophic Black Tuesday Bushfires in Tasmania in 1967. February 7th 2017 marks the 50th Anniversary of the day when fire claimed the lives of 62 people, left 900 injured and over seven thousand homeless. While the stories are all fiction, they are a powerful evocation of the event, bound to provoke memories and invite comparisons by those who lived through the horror. Lucky me, I have an advance copy. But it’s only a PDF which *sigh* has to be read on screen so I’ve only read four of the stories. (I’ll wait to read the rest when the print copy arrives at Benn’s Books where I’ve placed my order. And which is conveniently across the road from the French bakery café Noisette where one can peacefully read the new books over good coffee and pastries and cakes to die for). This collection is my homage to the beautiful down-under island state of Tasmania and to its people. It is a book designed to be dipped into at random and reread as the mood dictates. The aim of the stories is to present a version of truth ‘under the mask of fiction’ (to borrow from Gao Xingjian), revealing nuances of character and place, as well as repercussions that are often difficult to expose through nonfiction. While fleeting backdrops such as the Museum of Old and New Art (MONA) and the Hartz Mountains National Park provide for a quintessentially Tasmanian experience, these stories will resonate Australia-wide, bushfire forming an elemental part of our national consciousness, as it does. ‘The Bushwalker’ is a poignant example of repercussions difficult to expose through nonfiction. Only seven pages long, and peppered with apocalyptic quotations from the Bible, it tells the story of Bertie Taylor, trapped with his father among the flames. Playful at first, a crackling dance around the trees and fence posts. His father guiding him: here, this way, Bertie, watch your step. Acrid air making it hard to breathe. Excitement surging in time with the distant leaping flames. Fear creeps into Bertie’s belly as his father’s footsteps quicken and the sizzling turns to evil hissing behind them, rushing this way and that, retreating and gushing. Bertie steals a backward glance and is relieved to see the flames heading in the opposite direction. His father’s speed doesn’t slow. As we can see from the second paragraph, Bertie survives the fires. But he is scarred emotionally as well as physically, suffering lifelong guilt based on an Old Testament perception of God’s wrath and punishment. Bertie also feels a profound sense of responsibility to make sure such fires never happen again. Like a latter-day prophet Jeremiah issuing warnings in vain, he emails the Tasmanian Fire Service about trees endangering the approach to the Harz Mountains National Park. There are visceral images in this story, but I’ll leave readers to discover those for themselves. No eggs this morning for there are no chooks. Mum’s standing at the back door staring at nothing (or everything). Next door’s washing flaps about like a slapstick comedy on a vacant stage. I doubt if anyone can read the micro-fiction ‘Lost’ without getting a lump in the throat. As the proverb says: it’s an ill wind that blows nobody any good. The fire is mustering a feast for the birds. What are we doing, Medusa? There’s a feast! Use your brain, Swifty. Medusa One Snake reminded herself that, even at full functionality, Swifty’s brain didn’t work precisely as it should. Beyond the necessities to keep himself alive, poor Swifty was more of a turkey in the brain stakes. The flames will outrun the wildlife any minute, Swifty. Those lizards and bunnies will be beyond barbecued and more than a few of the hunters will be incinerated because of their greed. Medusa One Snake was and always had been a thoughtful matriarch, weighing odds, calculating risk. She cocked her head towards Scout Junior, sensing his twitching was a precursor to some interesting suggestion. You can find out more from Karenlee’s website and her blog. PS Just in case you’re wondering why I have tagged Karenlee with both ‘Queensland’ and ‘Tasmania’ – she was born in Tassie but now lives in Queensland. So they can both claim her as their own. Source: ARC courtesy of Hybrid Publishers.